This is a blog about our journey through adoption, from the beginning of the process, meeting our new daughter and the trials, tantrums and thrills of our life together. It's 90 minutes until I need to go pick up Missy as they are finishing an hour early today for the Christmas holidays. My heart is pounding, the anxiety rising. I'm dreading the school holidays to be honest because it will be full on attention-needing from Missy. On one hand I want to fill the days, but on the other I do need to keep some normality and routine. Daddy is off work on Christmas Day, Boxing Day, New Year's Eve and Christmas Eve, but the other days he's in work and on some of those days he's doing extended hours. Suggestions of what I can do to amuse a 5 year old who often exhibits as a 3 year old are most definitely welcomed. A friend is coming round on Saturday with her adopted daughter aged 10, so will be interesting to see how Missy plays with her. I had to take Missy into school today as Daddy was in work early and within seconds of walking in, she was having a strop with another girl in her class over sharing an activity. We went to see the school play yesterday and as I sat there looking round at the other ever-so-proud mums and dads, beaming with pride at their child, taking loads of photos, I couldn't help but feel a little sad and a little jealous of them. I didn't feel that pride. Missy didn't have a big part, just had to sing some songs with her classmates, although I say sing, she actually looked like she mumbled most of the time and stuck her fingers in her mouth. I did notice she didn't sing 'figgy pudding' but instead sang 'piggy pudding', which made me smile. At the end, all the parents went over to their child for a big hug, and a 'wow, weren't you brilliant' moment. Daddy and I went over to Missy but she just stared at us and then backed away when Daddy tried to hug her. We said she was fantastic and in reply she said "I don't want to talk about it" and backed away, getting very stroppy. When she's like that we really can't do much so we left and a TA took her back into the classroom. She's like that most afternoons I collect her actually. There have been a few good moments over the last few days. Daddy is brilliant at playing with Missy and doing lots of rough and tumble stuff, plus he's great at just thinking up random games. There was lots of laughter yesterday afternoon after school and she was in a great mood. She loves doing our hair and Daddy and I both visited her hairdressers. Another good time was on Sunday after lunch when we went out for a walk over the fields, a favourite walk of mine and Daddy's. Surprisingly, Missy enjoyed it and loved walking in the mud, getting her wellies covered, although she did nearly get well and truly stuck. Everyone I speak to says we are doing well and it's very early days. It's 8 weeks tomorrow since she came home to live with us so I suppose it is early. Mums with birth children are also moaning about their children at this time of year, with so much going on. My cousin and my Mum have been giving me some great advice and ideas on what to do. It's still hard though. We're still not feeling much affection towards her, rather we feel like we are just babysitting. I'm assured this feeling does go and we will suddenly realise one day that we do have affection for her. The social workers came round yesterday for a catch up. It felt like a moaning session from us really, with not much practical advice coming back from them. They did say however that Missy's social worker, who visited last week, was really pleased to see how much less anxiety she was displaying. We're still getting wet knickers though, a sign of anxiety, and now she's started, in the last week, to continually say she is hungry. I'm quite sure she isn't as she's actually put some weight on recently. I'm sure it's a sign of something else, though what I don't know. We're not aware of any major food issues when she was in birth home, but then again we don't know for sure. Oh well, I'd better savour this last 45 minutes of peace before I go on the school run. My tolerance levels are maxed out this weekend already and it's only Sunday morning. I've already escaped for 90 minutes down to the shops for a quite cup of coffee and a read of a book. Yesterday Daddy was at work and I just about lasted til he got home. You may be forgiven for thinking it's all negative in this house because my blog is clearly quite negative at the moment. So I shall say a few positive things because to be fair to Missy there have been some positive moments. Dinner time on Friday evening was very positive; I can't remember why but she made me laugh out loud a couple of times. (Oh dear, I can hear her downstairs having a tantrum, Daddy can sort this one out). Sorry, back to the positives. We were playing the Round of Applause game after dinner, giving each others rounds of applause for doing things like making tea, reading a book well etc. At the end Missy said we should have a round of applause for being ourselves. I like this. I can actually deal with her tantrums, they don't last for long and I'm fairly ok at the therapeutic parenting thing (though by no means perfect!) to help her move from that tantrum state. It's the constant 'mummy, mummy', constant chatter, constant attention. I get why she's doing it but that doesn't make it any less draining for me. I saw the play therapist on Wednesday and ran through a typical day and typical behaviour. I said I thought Missy was emotionally 12 months behind. The play therapist suggested we actually treat her even younger. Some of the behaviour she displays is like a 3-4 year old and so we should treat her like a toddler. Which is difficult since I don't actually know how to treat a toddler. Anyway, Missy has started to play at pretending to be a pussycat, meowing (or on occasions screeching) around the house and copying what our cats do. I wonder if this is because she sees our cats get loads of love? But this gave me a good opportunity to be tactile with her by stroking 'pussycat'. I've made a den too for her which she likes. Back to the play therapist. It was a useful consultation and we have a follow up in January which hopefully Daddy can attend too, and then this will be followed by play therapy sessions with Missy. She could see from the info the SW gave her and from what I said that Missy is a very anxious child and so she gave us lots of suggestions such as visual agenda for each day, lots of rhythmic activities such as rocking and dancing, being tactile such as rubbing cream into hands, and when it calls for, parenting as if she were a toddler. So, we'll see if this reduces her anxiety over the next month (although with Christmas and interrupted routine at school, I think it may be difficult). (Tantrum over downstairs and now happily reading her school book with Daddy). Two interesting things that happened yesterday though were that on two of the occasions when Missy had a tantrum, she actually came over to me for a hug. Interesting and definitely a positive change. We put the Christmas tree up on Friday. I'm not sure if this is the first time she's helped decorate a tree but I suspect it might be. I'm not big on the whole commercialism of Christmas so the tree is really the only decoration we have in the house, other than a patchwork Christmas tree on the wall that Daddy's Mum made, and a wreath on the front door. Missy loved doing the tree and pointed out that the house was different. We explained it was still the same house, still the same place to feel safe, just with a couple of things she hadn't seen before. Missy's SW came last week and she got Missy to draw pictures of the house and each room, with the emphasis on it being a safe place. Her visit gave me a chance to have a quite cuppa and to read my book, but I was interested to see how Missy behaved in her presence and there were definitely a few times when she behaved much differently - less stubborn, less controlling. So is it me that isn't parenting well, or is that she feels more comfortable about expressing herself if it's just me and Daddy around? There is a lovely smell of cheesecake wafting upstairs. Daddy makes a rather awesome one, with the help of Missy. It's also lunchtime, cheese on toast as requested by the little person. I had my second treatment at the dentist this morning on one tooth's root canal and I still have to go back for a third time. The injection is almost worn off and I have the painkillers ready and waiting, and no doubt I'll have to take them for several days. I usually try to avoid painkillers and go down the natural route, but I can't put up with the pain of the tooth and the pain of a 5 year old at the same time. Saying that, the last two days so far have been ok with Missy. It's like we are making very very tiny steps forward with a few big leaps backwards and then forwards again. Hopefully she is beginning to learn the boundaries and beginning to feel a little more comfortable here. We're still feeling like its a minefield we are stepping through when she's around, we don't want to make the wrong move and BOOM! But I think we are all learning. I was reading a page on a website last night from Alison Astair, The Parenting Coach on which she describes ages and stages of children. I looked at the 5-6 page and, yes, there are one or two points on there I can tick for Missy, but there are far more on the 4-5 age section. Alison says "They love to tell you "jokes", are enthusiastic, constantly talking and have vivid imaginations. Reality and "make believe" are often confused and you will hear exaggerated stories". Alison also explains that this age group will be very independent, often jealous, can be bossy and throws tantrums over minor irritations. They also find calling people names like "poo poo head" hilariously funny! Oh yes, that's definitely Missy. I don't think she's too far behind but I'm sure she has some minor developmental delay. I saw it again when I picked her up from school and the way she is compared to her classmates. I'm not worried though, she'll catch up. Daddy and I also think we've sussed the main reason she wets her knickers. Of course, some of it will be anxiety but the main reason we think is that she doesn't sit on the toilet properly and so some of her wee goes on the seat and knickers. Not surprising really when it's highly likely she wasn't potty trained properly and was still often in nappies at three and a half. So we made a game of it and I sat on the toilet (with my jeans still on!) showing her how she needs to sit back on the seat without falling into the toilet. She thought this was hilarious. So we'll see how she fares. We had our SW and the family finder SW around last night to see how we are getting on. We're very honest with them, it's the only way to be. We had a good chat and explained our issues. However, when one of them tried to explain how adopters often go through what we are feeling and in a couple of years virtually can't remember the pain and likening it to not remembering labour pain, was a little, erm, insensitive I thought considering that, er, no, I don't know what labour pain is like and NEVER WILL! That's why we've adopted! They did offer some practical advice though and have also offered us play therapy which I'm really happy with. I'm off to have a consultation tomorrow with the play therapist and see what she suggests. Right now though, I'm off to find those painkillers. Ouch! It's been a ok few days. Last Wednesday Missy had the longest tantrum after school that she's had, over an hour. By the time the social worker arrived late in the afternoon to see her, we were both exhausted and the SW could see Missy had been crying and I was fed up to the back teeth. But then things changed for a while. I picked Missy up from school on Thursday, dreading the usual attitude I get from her, but no, she was fine and looking forward to our trip to M&S where we had hot chocolate in the cafe and picked out a new jumper for her. Back home, tea came and went without any issue, she played nicely til bedtime and I had my first evening in a long time feeling relatively calm. I think I even managed a smile. I'd spent the morning with a very good friend who has a non-adopted son the same age as Missy and it was so good to hear her experiences of parenting. Many of the things Missy does, her son has or is doing, the same tantrums, same hitting, same attitude. I came away feeling so much better and hopeful. Friday and Saturday were pretty incident free too. We had one or two minor strops that last a minute or so but that was it. Daddy was off both days which was good. We visited my Mum yesterday, the first time Missy has been there, and she was on the whole really good. She was inquisitive, bright, ate all her food, chatty and played fairly well whilst me and Daddy chatted to my Mum. She loved a singing Father Christmas my Mum has and this brought out her gorgeous shining smile and infectious laughter. Bless her, she fell asleep in the car on the way home, probably the quietest non-bedtime 20 minutes we've ever had with her. And last night she was good as gold too. I naively thought we might be heading for calmer times. Ha! I have a lot to learn. Today though Daddy was back at work so it was just me and Missy. The first part of the day was fine, a few minor strops but otherwise ok. We went to the pet shop to buy a few things, we went to the shop next door to find some shoes and came out with a lovely My First Nativity Book which Missy chose. We had lunch, we read the Nativity Book and played with the pop-out characters that make the Nativity scene, we did her reading homework (she can do it, but she finds it boring and so plays up - I actually think in some respects she's more intelligent than she makes out), we played fairies. It's hard work keeping Missy entertained she demands constant attention. I have to give her a countdown to when I need to go and do a job, like making tea. She gets upset but quickly gets over it. One issue we do have now which has escalated in the last few weeks is wetting. Tonight she wet herself IN the toilet. I'm not sure how because I heard her weeing but she came out saying she'd also wet her knickers. I get the anxiety issues behind it and I try my best to keep her stress-free, but then she stresses out big time over getting changed and letting me freshen her up. I kept so calm for about 20 minutes despite her ranting millimetres from my face. In the end I have to admit I shouted at her, my patience ran out. I'm worn out. Even when her behaviour is ok and I'm feeling calmer, I still feel like I'm walking on eggshells. When she came downstairs, still snivelling, she picked up one of the cats and accidentally banged him into the kitchen door. I pointed out what she'd done, not telling her off, but the tears started again, mostly because she thought she'd hurt him. She gave him a cuddle and said sorry to me and the cat. Bless. I think it's probably tiredness (is it? or am I just finding an excuse). It's been a busy few days and it's school again tomorrow. When Daddy came through the door at 5.30pm she was over-excited and wanted to continue to play after dinner. It's good bonding for her and Daddy so I let her but gave her a 20 minute countdown to bedtime. Generally she's fine about getting ready for bed although today she flipped out over having a bath. She said she didn't like showers so Daddy started to run a bath, only for her to say she did want a shower and flipped out over potentially having a bath. Thankfully Daddy sorted it all out and got her to bed with relatively no problem. She'd wet herself again though. Daddy has done bedtime the last three evenings. When he's not at work, he will do the routine, and today as I'd had enough he also did it. What a lovely Daddy. When he came down, he said Missy wanted to say goodnight to me so I went up to her room where she held out her arms for a hug and told me she loved me. It's little moments like that which I have to focus on, not the negative stuff. But it's moments like that which churn me up inside because I'm still not feeling an attachment and I just don't know what I want to happen. For now though, she's sound asleep, I've had a cry, some Disaronno & Ginger and I'm watching the hype that is the X Factor. Jahmene to win. Firstly, thank you to all of you who have sent me messages of support. It means a lot. The word of the week has been 'anxiety'. I've woken up each morning in a state of anxiousness, with heart pounding. Last Wednesday and Thursday were ok-ish, Missy's behaviour was relatively ok and by Friday morning I even felt like doing some Christmas shopping. But Friday afternoon everything came crashing back down again. Missy was in a right mood when I picked her up early from school and everyone queued to get into the school Christmas bazaar. Whilst queuing, I saw really for the first time how emotionally immature she is compared to her class mates. The bazaar was hideously busy and I just wanted to get in, look round, get out. Missy had a tantrum in the hall and we left sharpish. Her tantrum pretty much lasted til bedtime, by which time I'd had enough. Daddy arrived home just in time to continue the bedtime routine whilst I cried in the bathroom. Saturday morning started pretty much where we left on Friday...until 10am when my Mum arrived and right on queue Missy turned into the perfect child, right through til when my Mum left at 3pm and then, much like in Cinderella when the fairytale ends a midnight, Missy turned back into tantrum child. Sunday was Daddy's day off and we decided to do one of favourite walks by the canal. Unfortunately Missy didn't feel the same and was largely disruptive. She loved the bacon sandwich we had at lunch, but stropped when Daddy picked up a chip that she decided she had wanted despite there being a plate full. She loved running, feeding the ducks but for the most part was miserable. I was too. I didn't want to be there with her. Neither did Daddy. It's the tiniest most random things that set her off. Many of the times that she is frustrated/angry/upset, I can kinda see where it might come from. But other times the trigger is completely random, like me not cutting my slice of pineapple in half, or copying what she was drawing which she asked me to do but all of a sudden I can't, or when I said the words Well Done, which apparently yesterday meant Bad. In play, I can't keep up as she changes the rules all the time. One thing she loves to do is play with my hair, which is apparently showing good bonding. However at the moment she'll spend ages trying to put my hair in a ponytail. After twenty minutes yesterday she got so frustrated that she couldn't do it, she thumped me hard on my shoulders and it hurt. Yesterday morning was World War III before school and my and Daddy's anxiety levels were sky high, both of us feeling quite upset. We understand that Missy can't regulate her behaviour right now and she is not to blame as such, but we were feeling so fed up. So last night the Social Workers came to see us. They could see we are exhausted, very down and nearly at the end of our tether. We talked for nearly two hours. I can't even remember what we talked about really, I'm not sure I came away from the discussion with any practical tips with what to do, but they were reassuring and empathetic which I do value. This morning we have a new child in the house. We've had a child transplant over night. Well, that what it seems like. Missy's behaviour was very good and she even apologised for hitting me, completely off her own back, no prompting from Daddy. I'm still feeling anxious though as I sit here and type. I think we're still unsure of what we want to happen. But what needs to happen needs to be the right thing for all three of us. The right thing right now for me is a cup of hot chocolate. Monday morning, after sobbing over a coffee in Costa and in the supermarket when Daddy rang, I rang our SW who was very supportive. SWs are there to help and we will be using them as much as possible. I hear of other adopters who don't have good relationships with their SWs which is sad as adoption certainly can't be done alone. I cried down the phone to her. I explained I felt like I wanted my old life back, how I was panicking, off food (very unlike me), diminishing attachment and not sleeping. She listened and also gave some ideas of why I was feeling like I do. She also wanted me to go to the GPs, but I won't because I am very anti anti-depressants, they only mask the symptom, not help the problem. Daddy said it was obvious I don't want to be in the same room as LO and whilst he is doing his best, if there was a speech bubble above his head I know it would be saying things akin to how I feel. We want the best for each other, nothing will get in between us and at the moment Missy is making us feel very negative. I'll rephrase that - Missy being here is making us feel very negative. I'm not blaming her, she doesn't understand her behaviour and the trauma she has been through will be reflected in this behaviour. So yesterday two SWs came to visit me. Unfortunately Daddy was at work so couldn't join in the conversation. As soon as I started to speak I cried and the tears didn't stop for nearly two hours. I explained exactly how I felt and right there and then, sat on the sofa, I honestly felt I wanted Missy to go and for my life to get back to how it was. Horrible I know. However, they sat, they listened, they offered suggestions and possible ways forward and they are coming back one evening next week so that Daddy can speak to them too. Last night Missy was relatively ok in her behaviour. We watched Cinderella which I've actually never watched before in my life. Lovely film but I did have to do a running commentary. At other times it is like she is possessed. The Exorcist film springs to mind, sorry but it does. The devil appeared at tea time, at times it's quite frightening to see this little 5 year old act like she does. I tried a calming strategy suggested by the SWs but she thought it was a great game and ran round the living room. She wet herself in the night and her crying woke Daddy up. Poor thing. We sorted her out and calmed her and all went back to bed. This morning I still feel panicky and am just going through the motions of caring. Of course, the level of care will not diminish. I will give her the utmost care, but love too ....? Daddy also obviously was not feeling his best and had the 'whatever' attitude. So on top of my negative feelings I now also feel very guilty. What if this adoption did disrupt? Yes, I'm using that term already as I feel that low. What additional trauma would we place on Missy? SWs want me to be good to myself. So I'm going shopping and then I'll go visit Daddy at work before picking up Missy. This weekend has been crap, if I'm honest. I feel so incredibly low. I've had a cold since Friday, a full blow whopper of a cold, and I've had horrible toothache in a tooth that I had filled a few months ago. I suspect this means root canal treatment is on the cards which scares me. But the biggest issue is that I've had several panic attacks regarding the adoption. Friday night/Saturday morning I was lying in bed, nose permanently running, thinking about the future and a wave of panic washed over me. I had to get up and walk round, and then decided to have a hot drink and turn on the TV. "The Bucket List" film was on which I'd always wanted to see. It's a great film starring Morgan Freeman and Jack Nicholson, playing two guys who have cancer and write a list of things they want to do before they 'kick the bucket'. It's funny, honestly. And touching. Yesterday I just wanted to curl up alone whilst Daddy went to work, but there was a small matter of a 5 year old who needs constant attention. What I really wanted to do when she told me yet another fact or fib, or something that I had to pretend to be, was "yeah whatever". Of course, I didn't. I joined in as much as I could but also just had to rest on the sofa too. I was in no mood for her tantrums which unfortunately numbered several yesterday, over the slightest thing. Missy decided she was clumsy after hearing the word on Cbeebies. I said she wasn't which she took great offense at, folded her arms, humphed at me, went to other end of sofa and told me not to touch her. Whatever. When Daddy rang to see how I was I just burst into tears. He admitted too that he wasn't feeling much of an attachment. I didn't sleep much at all again last night due to toothache, cold and panic but Daddy was lovely and let me lie in til midday whilst he took charge. Another wave of panic washed over me whilst lying in bed - is this it, is this our future? It scares me, I'll be totally honest. I'm not sure I can cope. Having thoughts such as how lovely it would be to have Christmas just the two of us, or how maybe I could just escape to Mum's for a few days can't be right. Perhaps I have post adoption depression, I don't know. Missy was pretty good this morning on the whole but had a tantrum earlier when I asked her to put her socks on and blow her nose. I try to do the whole therapeutic parenting thing, not raise my voice etc but I'm worn out. Daddy did the same and somehow he usually manages to turn tears into laughter. He's taken Missy out for an hour and half so just me and my lovely cats are here now. I've just rung my Mum for some support, she's been so lovely, I wish she lived nearer. And now I'm putting stuff down in words with tears streaming down my eyes. Maybe it's the cold and toothache is just making me feel really low. I think of my friend who has three children, one with ADHD and a little boy same age as Missy who is autistic and wonder how she copes. In my eyes she is Wonder Woman. Hopefully I'll feel better once I actually get better, and we'll speak to our social worker this week too. Not a good weekend. What do you get if you cross a 2 year old having a tantrum with Kevin the Teenager? Answer: our adorable 5 year old. Being at school full time now is bringing more changes in Missy's behaviour. Also, as the days go by we are getting to know and understand her just that bit better and the main issue we can see is control. She is very happy to help me but hates us helping her eg putting her clothes on, cutting up food, playing with toys. Hates it with a capital H. This morning we had a full on tantrum with her demanding I didn't touch her, until Daddy came upstairs to see what the shouting was all about it and explain that the neighbours could hear. A minute later she's fine. So, we have another catch up meeting with our social worker and family finding social worker tomorrow and I will find out what support they can offer to help us with the control issue. Yesterday we had our Adoption Review with Missy's social worker, the Independent Reviewer and the family finding social worker. All are happy with progress so far and we have agreed no more visits to see the foster carer, although FC will be asked to send a few postcards over the next few months as part of the separation and loss treatment. I had coffee yesterday with one of my best friends who also happens to be an adopter of nearly 11 years and her advice is always extremely welcome. Actually I nearly burst into tears in the cafe before she arrived as I think I was so relieved just to be able to talk to someone who had been there. I didn't though. So, I've been collecting Missy after school and I know this is stressing me out believe it or not. I'm actually quite a shy person and in some situations find it hard to chat to people. A lot of the mums know each other already from when their child was in nursery, but I'm sure in time I'll get to know some. Daddy on the other hand has made a friend - turns out the dad of one of Missy's classmates was at Daddy's work a few days ago. Right, things to do - I need to do through the Adoption Support Plan again in readiness for tomorrow's meeting and see what was promised to us. Plus I need to register Missy at the local GP. I rang them this morning and the lady I spoke to said they had nothing on file about her even though a letter was sent to them from Missy's SW with some reports. Not a good start. After much searching, turns out it's under my file. Plus, I need to get ingredients ready for Oat & Fruit Bars that we are making when she gets home. I'm so proud of our little girl. She came home from school last Friday with a certificate, a Unicef Rights & Respect Award from school for settling in so well in her first week. Brilliant! I can't wait for her to show her social worker next week. Yesterday was a really good day, the best so far (told you it was a rollercoaster). It was the first day since Missy arrived that I've had her the whole day by myself as Daddy was at work. Every evening we run through with Missy what is happening the next day, and we also do this again in the morning. So I set out the agenda for the day: breakfast, bath and wash hair, then mummy needed to clear leaves from front garden and do some other housey jobs, then snack time, play, lunch, play/watch film, then Play Doh whilst mummy made dinner, play, tidy and quiet time, bedtime. Normally she hates it when I do jobs but yesterday she was very good and either sat quietly and watched her programmes or stood on the doorstep whilst I cleared the leaves, directing me as to which leaves to clear. Play was good, we made a brilliant picture with tissue paper, a tissue paper poppy and did a letter to Santa (more of a drawing than a letter). We also played hairdressers - she has learnt to tie hair in a ponytail by herself this weekend so spent ages practising on me - and we played shops. Then we watched 101 Dalmatians, the 1996 version with the real dogs. On the whole she sat well and watched it, although I did have to explain quite a few things. She also got a bit bored towards the end and started dancing. Whilst I made dinner, she played with her Play Doh. I hate the smell of Play Doh, not the same as when I was little, and it gives me a headache so a great excuse not to play with it and allow her to play by herself. Missy usually moans that she hates playing by herself so I was so pleased that yesterday she did so beautifully occasionally running in to see me in the kitchen with her latest creation or I went in to see what she was doing. After dinner she again played by herself by which time was Daddy was home. Then she tidied away nicely and happily went up to bed for a story. A great day, albeit exhausting and Missy was certainly ready for sleep whilst I was ready for a cheeky drink and a huge bar of chocolate. Today Daddy was off work and plans included breaky, play, light lunch, walk, Christmas fayre, roast dinner, which I'm just cooking. On the whole ok but there were a few shout the house down crying tantrums before we went out, including being asked not to swing camera against the wall, so of course she swung it against the wall. Daddy has now confiscated the camera. Then a few tantrums over not wanting me to help her dress and over which shoes to wear. I love having a 5 year old but not so delighted having a 5 year old with 2 year old tantrums but it comes with the adoption territory. Daddy and I are learning how to handle these tantrums and we can certainly see some huge positive changes in Missy over the last 3 weeks. Lots to learn, lots more tantrums to come out but the positives are definitely outweighing the negatives right now. Life is a rollercoaster, never more so than these last few days. Yesterday we had to go meet Missy's foster carer at a local cafe. As mentioned before, I was not looking forward to this as it clearly unsettles Missy. She wet the bed the night before last and also at school yesterday (although didn't tell anyone) and again yesterday afternoon (but didn't tell me, I only realised when she took her clothes off for bathtime). At the meeting she was calling the FC mummy and has called me by the FC's name today. I was also not happy that FC was asking for hugs which I'm sure can't be appropriate. Yesterday afternoon after we returned from seeing FC, her behaviour clearly demonstrated her anxiety with one massive tantrum (think two year old), three mini tantrums and lots of tears. She wouldn't take her school bag and water bottle into the house from the car and demanded I did it as I was nearer (I wasn't) and after playing shops she had the biggest tantrum because I dropped a cat toy on the floor (where it usually lives) which had been in her 'shop'. Proper full on ground-thumping shouting the house down tantrum. It's so sad to see but I attempted to remain calm and employed some therapeutic parenting. Later on Missy also was monumentally upset that I had to stop playing whilst I made her dinner, finished changing her bed and then when I did a countdown to bathtime (which she usually loves) and going to bed. I wonder whether she had every been left alone for long periods by birth mum and is remembering the anxiety she felt then? In fact everything upset her yesterday afternoon. This is not good for a little 5 year old who has made enormous progress over the last few weeks. It's also not good for Mummy who also got rather overwhelmed and burst into tears when Daddy got home at 8pm. I'm getting more used to how to respond to her and how to help her but it's heartbreaking to see her like this and I hate that fact that for a fleeting moment I wonder whether we've done the right thing to adopt. Today though it's clear we have, of course, done the right thing. Today Daddy is not working which meant I managed a sneaky 10 minutes in bed by myself once he'd gone downstairs with young lady. She gave me a massive hug in bed and before school, and whilst getting ready she said that she hadn't been a good girl yesterday because she was crying. Oh bless her. Daddy and I spent a little time explaining that crying doesn't mean she wasn't a good girl. Today so far she has been gorgeous, funny, loving and smart. I decided to call her social worker to tell about events of the last few days. She totally agrees with me that the FC visit is clearly unsettling and will put our views across that another visit is not in her best interests. I felt much better after speaking with her. And Daddy and I are going to reinforce the message to Missy about being with us forever. So, Missy is at school, Daddy has gone to MOT his car whilst I've found some time to continue sorting old paperwork and found I have a dormant bank account with a whopping £11.40 in it!! Hurrah, that'll pay for lunch out today. This week our little Angel went to her new school for the first time. We are so happy to have got her into our second choice school and as it turns out I think it will work better than the school we had as first choice. It was a bit last minute though as the school only got official confirmation from the LA last week which gave us two days to sort uniform, fill out forms and allow Missy a few days to get used to the idea of going to school. Missy had previously been to nursery and spent a few weeks in Reception class where she used to live with foster carers and, having spoken with the Head and KS1 teacher there, we knew she liked school and had been doing really well. She was very much looking forward to going to school and I think she was actually getting a bit bored staying in all day, which she had done for four weeks. First day was absolutely fine, no tears at all. Her teacher is very happy with her and she loves doing her homework (until the novelty wears off!). She's certainly a quick learner. We explained to the teacher that she is very controlling in play and likes to lead play so it will be interesting to find out how well she shares the activities. She knows about sharing at home but did have a few tears this week when she declared she didn't like taking turns. This week is just part time to ease her in and continue the attachment building at home. Unfortunately Daddy has gone back to work this week but his hours means he can always have breakfast with us and take her school which is fab. So far he's been getting home just in time for bedtime story. I thought her behaviour might change but so far so good (ok, I know it's only been a few days). She has picked up a new phrase though - "cool dude". LOL. We have the second contact meeting with the foster carer today. The family finder social worker is very keen that this goes ahead but, as last week, Missy had an accident, a sure sign of her anxiety. Last night she wet the bed for the first time so I've been busy cleaning this morning. We'll see how she is later this afternoon and tomorrow but if she shows signs of anxiety again then I will strongly resist further contact. Anxiety changes physiology with stress hormones coursing around the body and that is not good for any one. Today Missy met my Mum for the first time and it all went really well. Missy was good as gold and definitely showed a positive awareness of people she doesn't know which is good. Saying that, she was happy to include Grandma in things like pretend cups of tea and cake. The day began with Daddy letting me have a lie in :-) before they went to play football in the local park whilst I sorted a few things out for Grandma's visit. Usually I see my Mum once a week or so but haven't seen her for several weeks since beginning of Introductions so it was extra lovely to see her today. Grandma was fantastic and very positive towards Missy. Actually I knew she would be brilliant at being a Grandma to someone who doesn't come from her flesh and blood since she her first experience of being a Grandma was to my brother's step-children before he had a birth child, and a fine job she has done. One thing that was hard was not allowing Mum to give cuddles or sit next to her grandchild at lunch. It's all part of the 'funnelling' that we need to do, all part of the attachment building so that Missy continues to learn who are her primary caregivers. 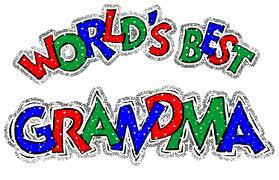 Of course, in time, Grandma can do all the usual things a Grandma does. As it's Remembrance Sunday, we had the TV on to watch the events from the Cenotaph. I had explained to Missy yesterday about being as quiet as a mouse at 11am and reminded her again this morning. She didn't think she could do it but at 11am when the cannon sounded and Big Ben struck, she was absolutely brilliant and we didn't hear a peep. She probably still doesn't understand why she had to be quiet, nevertheless I'm so proud of her and straight after she continued to serve tea, cake and lemon coffee. Missy has been using the word Daddy far far more this weekend which is great, rather than using his first name. I think they've bonded over bath time, running and rough & tumble, all of which she loves to do. Daddy played with Missy a huge amount yesterday which gave me a welcome break after my tears on Friday. In other news, it was outrageous that Kimberely was in the bottom two on Strictly and that Rylan is still in XFactor. A few tears were shed yesterday. Not just from Missy but from me as well. Missy was full on yesterday and wanted to play with me all the time. For the most part I obliged and Daddy joined in too as I'd hate to look back on this time and regret not playing with my beautiful daughter. Her behaviour was great all day, just a couple of mini-strops over things that I can't even remember now. But by the time 6.30pm came I was done in. I needed some time out and tried my best to watch Strictly It Takes Two during which Daddy took Missy up for her bath. Ahhhh, some (relatively) quiet time to myself for 10 minutes. Daddy is great with Missy at bathtime but seems to get as wet as she does! It was my turn to read the story but I was so tired that I just sat on her bed whilst Daddy read the book (same book third night running), which he does very well. Downstairs, after she settled down, I burst into tears. Just overwhelmed. And having woken up at 5am for the last two weeks, I was just knackered. We had the weekly visit from the social workers yesterday too which seemed to go well. Missy demonstrated that she is settling in well and building attachment. Unfortunately the family finding social worker still wants us to have contact with the foster carer, with a meeting arranged next week. If Missy is unsettled by this one as she was the last time, we will put our foot down. It's going to be hard enough for her with starting school next week and no doubt her anxiety levels will be higher than usual so to have a foster carer meet up is going to add to the anxiety mix. So far today Daddy has been playing with Missy whilst I've done some chores and caught up with a few things. I definitely feel a bit calmer. Although I'm not sure it's right that I'm looking forward to doing some ironing. Two weeks passed already, wow time flies when you have a child. We've done lots since the last blog post. Missy isn't starting until school next week (got our second choice school but quite happy with it) so we've had more time to bond and build attachment. Last weekend we met up with the foster carers which always happens a week into adoption placements. Whilst we can't deny the foster carer did a great job, we felt she was far too huggy on placement day which the social workers also recognised. She was advised to be a little less tactile on our contact day and it was only supposed to be her and her husband. Unfortunately she also brought her own boys along and was again too tactile in my opinion. Little wonder then that the next day, last Sunday, Missy showed signs of anxiety and wet herself three times in one day. We haven't had any major tantrums though which is great and we are finding that fine line between giving her the attention she deserves and missed out on when she was with birth mum, and giving her attention just because she has demanded it. She has great manners for the most part and we have taught her to say excuse me if she wants one us whilst we are talking to each other. She is also getting much better when asking for things, rather than just saying "I want juice", she will now sweetly say "can I have some juice please". We had lunch in a local cafe earlier, to which I shall definitely return. I'd always thought it was a greasy spoon type of cafe but there wasn't an egg and chips in sight. In fact it was quite posh. Very nice. Whilst here I learnt another thing I need to carry round with me - coloured pencils. I've added this to the list of wet wipes and tissues so far that I constantly need on me. Anything else? We allowed Missy a glass of lemonade as it was proper real lemon-ade, not the crappy stuff. Fizzy drinks are going to be an occasional treat and cola is a complete no-no in this house. An hour later in the park, Missy had her first little accident of the wet variety and we think it was possibly down to the fizz. After the playground, we walked around the park meeting several dogs on the way. I've always been a bit nervous of dogs, but I don't want Missy to be scared so did my best to stand still and not run away, even when the puppy rottweiler came over to play (which incidentally will grow to 9 stone!). Daddy swung Missy around and around which she absolutely loved. When Missy finds something really funny, she has the most gorgeous smile and infectious laugh. By the time we'd got home we'd been out for three hours - one hour lunch and and two hours in the park. After making a fabulous piece of artwork with real leaves, all Missy's own work, and the obligatory visit to the pretend hairdressers, it was time for dinner. So far Missy has been excellent at dinner time. I did have a food strategy in place, expecting a fussy eater to be living with us, but I've not needed to call up on it as she eats everything and happy to try new foods (or indeed foods she said she didn't like but actually turned out she does like). But tonight she decided she didn't like mince, until we pointed out it was the same mince as in meatballs, burgers and lasagne that she has eaten. She did start to eat it but was very whiny. The park had wiped her out and she was too tired to eat. We explained that food to a person is like the batteries we had just put in her toy ie, energy to make things work, and that helped her understand she needed to eat a bit, although we did compromise a lot tonight (Daddy is going to have to watch his waistline methinks, since he eats all the leftovers). Quiet time on the sofa after tea was very sleepy time so we took her up early. Today she has been calling us by our first names a little more than the last few days, and started doing this after we explained we were meeting up with the foster carers tomorrow for a drink. Not sure if the two are related but I do think it's confused her a little. We must reinforce tomorrow that all three of us are coming back here and we are not leaving her with the foster carer. Missy has been with us for 7 days now, though it feels like 7 weeks! This is the first chance I've had to blog because 6.30am - 7.45pm is Missy time and after that I am, frankly, knackered. However, we've now established a little routine and I'm feeling a little less overwhelmed by it all, so I'm taking the chance to have a cheeky drink and 10 mins on the PC. The last week has been full on. We've played lots and lots and lots and lots and lots and lots and lots. We've been to the park a few times, we've walked round to the local shops. We managed the local big shop as Missy desperately needed some warm winter clothes and we even braved Ikea (yes in half term!) so we could buy Missy her own table and chair on which to do her colouring in the back room. The dining room carpet and table was in danger after a few days as Missy is a profuse artist. At Ikea, lunchtime meatballs passed without incident as did the toilet stop. On the way back we stopped to feed some ducks at a local pond. Missy has had someone to play with for the whole time she has been awake, either mummy or daddy or both of us, as this will help with settling in and attachment. Now, I'm no expert, but I'd say Missy has settled in pretty well so far. She's been completely dry which is a pleasant surprise as she had lots of accidents at the foster carers. We've only had two mini-tantrums that were over in minutes. We have had quite a few strops though; she doesn't like the word 'no' (what child does?) and she can be extremely controlling in play. Everything needs to be her idea and if we pick up a toy whilst she is playing with something else, then she will immediately want what we have. It's exhausting. She has previously been very used to having her own way. But I also find it really interesting watching the cogs in her mind tick over and often go into overdrive. She has a very vivid imagination, which sometimes needs to be reigned in and I do wonder if she is trying to tell us something through her play or whether it's just stuff she's picked up (from real life or tv) or it's just her imagination going into top gear. She also bends the truth somewhat. We need to make sure she understands we are here to keep her safe and secure and we reinforce this message a lot. We need to help her control her own emotions as children and particularly adopted children can't manage this themselves. Missy is calling me mummy more and more although still does call me by my first name. Daddy is called daddy, although a little less than I am called mummy. We think it's because she's never had a daddy and probably doesn't really understand what a daddy does. In fact I asked her this morning when she was getting dressed if she knew what a daddy does and she said she didn't know. So I said he does the same things as mummy ie, look after her, keep her safe and secure and loved forever. But mummy is who she often calls for more but then I think a lot of children do that, adopted or not, and actually after one week I'm really pleased she feels able to do that. On the whole Missy has been a delight, very funny and has the most gorgeous smile and laugh. In fact, demanding as she is, her behaviour has been much easier than we had expected. OK, it has only been a week and there are plenty of boundaries to push ahead of us but we're pretty pleased with how it's going so far. She eats well, will try all new foods put in front of her, sleeps like a log and is learning quickly. Playtime with daddy alone will usually ensure some raucous laughter - this evening she was beside herself because of a game she and daddy were playing. She loves her rough and tumble. Missy had declared she'd like to go to football, ballet and elastics (she means gymnastics). We'll look into this in the New Year as although she'll be at school soon (more on this in another blog) we want her at home the rest of the day to continue the bonding and attachment. However, I really can't see her as a ballet dancer, more of a street dancer! Football would be good though. Daddy reckons a kung-fu fighter! In the meantime, we will continue as we are doing and see how week 2 goes. Back to that cheeky drink. So yesterday was the first day of the rest of our lives together as a family. Gulp! We picked up Missy (she will hereafter be known as this on this blog) at 9.30am. The idea is that the social workers get there a few minutes before us to make sure all ready to go and the foster carers are supposed to have said their goodbyes, so all we need to do is put all Missy's stuff in the car and her, collect paperwork and off we go. Missy was excited to see us and all set to go. Unfortunately the foster carer got tearful and opened the car door when Missy was in her car seat, and hugged and kissed her and said "Miss You" etc. Not the way to do it and it upset Missy who within 10 seconds of us driving away said she wanted to live with the foster carer. Oh dear. The journey home was very subdued with minimal chatter and on arrival at home she still had tears so we left the unpacking and the three of us went into the lounge for a family hug, explaining that as her new mummy and daddy we were going to keep her safe and secure from now on and that we had so much to look forward to, all three of us together. We kept stressing the togetherness and thankfully Missy soon cheered up. The rest of day was mostly spent playing with lots of giggles from a game she was playing with Daddy although we had two of three times when she said she missed the foster carer. It's understandable as she spent so long there and they did look after her very well, but it is hard to hear. I'll be honest and say that a teeny tiny "oh god what have we done" thought went through my head. That said, the day on the whole was good. We received a lovely bouquet of flowers from one friend, another popped round with a card and I got a lovely message on FB from another, plus a very helpful text from another friend when I didnt have a clue what to do. Dinner passed by with no issues and then it was on to bath and bed. I was dreading this time as it was a first for all of us. But amazingly it all passed by beautifully. Daddy and I both played at bathtime and Daddy sat on the bed whilst I read the bedtime story. In five minutes she was out like a light and stayed that way until 7am this morning apart from a brief trip to the loo in the night. Perfect! This morning we had cuddles, we had breakfast, we had a wash and got dressed and still all good. Missy didn't come with many winter clothes though and today was much cooler than of late so we definitely need to take a trip out very soon. The walk to the park was cut short though as it was so flippin cold. We did manage to finish our picnic though. So British. The main issue with Missy is that she is controlling and wants to lead play the whole time. It's exhausting, I'll admit, but we are very gradually helping her to understand and learn that she doesn't have to be in control the whole time. I'm guessing that in her early life she also did the looking after. On a few occasions she's wanted to help me do things around the house but I've said "no, that's for mummys to do". We've said no a few times when we don't agree with what she's doing and once or twice it's ended in brief tears but we've soon moved on. She also needs a huge amount of reassurance. I guess she got very little at her birth home. So we played the "round of applause" game at tea which started with me saying we should give Daddy a round of applause for making a fab tea and then led to all of us thinking of lots more 'rounds of applauses" for each of us, with of course lots for Missy. She loved this game. Talking of reassurance, the cats are needing lots too. They're not too impressed at the moment but are gradually getting a little braver. Poor things, they've had such a quiet life up til now. So, it's the end of Day 2 and I think we're all beginning to feel a little better about things. Missy went to bed perfectly (in fact earlier than we said she would have to, it being a Saturday night) and Daddy and I are just looking back on the day. Daddy just told me that Missy put her arms around his neck this morning and said "Daddy I love you". Awwwww. Bless. Tomorrow two become three and our life together as a family begins. We have been looking forward to being a family for so long now and now the time has arrived. Are we excited? You bet! Excited at all the things we can do together, the places we can take you, the things we can teach you (and you, us! ), the sights we can show you. Are we scared? Yes, a bit. Scared of the unknown. We hope the past does not affect the future but we'll wait and see. But in the meantime we are here to keep you so safe and secure, to love you to the end of the world and back and to give you a wonderfully happy childhood, to be here for you whenever you need us, to wrap you up in security and belonging, to reassure you. We are here for you forever. And, no, you will never have to move again. Today is a "rest day" on the introductions plan. Except we haven't rested much. We had a review meeting with social workers, then went shopping for various DIY and housey things then home and straight onto the PC to get my accounts done once and for all and sent off to the accountant. When I worked in an office, I was bloody good at paperwork even though I say so myself, all expenses done well before time. But doing my own at home, that's another story. Anyway they are done and I feel so much better. Yesterday was a strange day. It was the longest day so far that Little One would spend at our home. She seemed a little quiet in the morning and I wasn't on best form either as it was TOTM. I find it particularly unfair that I can't conceive and yet I still have to endure periods. Alana Morrisette's song "Ironic" springs to mind. On the way back from dropping her off, Daddy and I stopped for a cuppa at M&S (lovely cake there!) and chatted about how we felt. I said I still felt it was like we were babysitting and merely looking after a young child. Of course Rome wasn't built in a day and attachments certainly won't be built in 10 days. It will be a gradual process on both sides. Mr asked me if I 'loved her to bits yet'. Honestly?..no I don't. But I will. Daddy agreed. That's not to say we don't think she's gorgeous and lovable and funny, she is. I have worried though about how to be a mum without the natural chemicals that flow when motherhood by birth occurs. I look at Daddy and he is a natural. But then I confer with friends who are birth mums and they have/had the same feelings so then I don't feel so bad. I did have a little cry last night - I think it's just the tiredness and emotions...but then watched Great British Bake Off and felt much better. There's something about baking, even just watching it, that I find so therapeutic and I have many lovely memories from childhood that involve baking (I feel a Coffee Walnut Cake and Rock buns coming soon). So the review meeting went well, no concerns. We had to hand over a letter confirming we would like to proceed with the adoption. Of course the letter confirmed we would. Hopefully that's the last time we have to visit the local authority's offices. Unfortunately one of the social workers confirmed our local primary school will not accept Little One as they are full. Annoying as it's our nearest and the best. The issue has gone as high as it can in the LA so they are trying another school which was second on our list. Three sleeps to go and I'm off to do some baking. On Friday we had a little visitor to our house. Our new daughter came for a short visit to check out her new abode. It was just a short visit with the foster carers and a chance to have a look round, check out the cats and her new bedroom. The cats didn't hang around though so Mr suggested she go find her bedroom and shout when she had found it. "FOUND IT! ", she yelled within ten seconds. So we went upstairs and had a good look round. I think she was rather impressed and soon spotted another toy on her bed. We haven't bought any as she has quite a few anyway at the foster carers but a friend of mine had bought a pink toy back from the States so we put it on the bed for Little One. She promptly decided to call it Sooty! We showed her around the rest of the house and then she settled in for a spot of colouring, having found some new pencils on her bookcase, whilst we had a cuppa with the foster carers. An hour was soon up and as they walked up the drive we heard her say "Have I been good today?". Bless, she was so good. More often than not Friday night's are spent in the local Indian and we realised that this was the last Friday night we'd be just the two of us! So, off to the pub and Indian we went. Yesterday we had a longer visit. Foster carer brought her and explained that they were leaving her to play and explore whilst they went shopping. A brief look of anxiety quickly passed and pens and pencils quickly found. She remembered exactly where her bedroom and all the colouring stuff was. After much colouring done, we explored the garden (it's not that big honestly but probably to a 5 year old it is). Much excitement here as Daddy and Little One picked the last of the strawberries and raspberries, not all of them making it into the bowl of course. Back inside she decided we were going to have a cuddle on the sofa under the big fleecy I had bought. Time just flew and we had to take her back to the foster carers. Another good day, no tears, no tantrums, a few times we said 'no' which passed ok.
Today we had a longer day with our new daughter and picked her up at 10am. Again, much giggles, laughing, colouring and today we played hide and seek and made biscuits! Amazingly the kitchen was no messier than when it's just me in there! As far as food is concerned, she eats anything. Hurrah!! And LOVES FRUIT!! Double Hurrah!! I think having her here is going to make us healthier again. After I finished IVF I kinda let myself have a month off from eating healthily ...except the month off extended to a year and a half off. Oops. I've eaten more fruit this weekend than in the last month. Today we had lunch together which went well. Cheese on toast, satsuma and petit filous. Yum. We had another cuddle nap on the sofa and she declared that when she comes to live here we should have a nap each day. I second that. Whilst she refers to us as mummy and daddy to others she mostly still calls us our first names to our face but also declared that when she moves in she will call us mummy and daddy :-)) Roll on moving in day! I am actually in awe of my new daughter. At her age, yet with a stable secure childhood, I was actually extremely shy and clung to my parents if we went out. I really don't think I could have coped with all the trauma, lack of stability and change that she's going through. Bless her. In her words, five sleeps to go. We met her last Friday 12th but, I'll be honest, I've been so tired each day that I haven't turned on the computer since Thursday 11th. I'd read and heard from other adopters that Introductions are draining and so we haven't organised anything else at all during these two weeks; I knew there would be a huge mix of emotions but hadn't reckoned for the tiredness! But I guess concentrating on colouring for 3 hours a day is hard work. So, I just want to turn the clock back to last Friday and recount our first meeting. We left home earlier than we needed but didn't want to be late so we ended up sitting in the car down the road for half an hour. But then 10am came. We met our Family Finding Social Worker outside the foster carer's and nervously walked up to the front door. I was so nervous so can't imagine how Little One felt. Inside, the social worker took us into the lounge and introduced us to Little One. My first impression was 'she's gorgeous'. A few minutes later Mr leant over to me and whispered "she's gorgeous". She was a little shy to begin with but that didn't last long and she was happy to come over to us. We watched the DVD we had prepared, about four times and she pointed out things she liked. I'd taken a little toy with us, which had appeared in the DVD and book and she quickly spotted it in my handbag with a big beaming smile. She then showed us the book we'd made and showed us her bedroom. We had our picture taken, the three of us and by then 50 minutes had gone by so quickly and it was time to leave. We both got hugs goodbye which I didn't expect and my eyes nearly watered. Wow! That little girl was my new daughter. Since that first meeting we've been over to the foster carer's each day, increasing the time a little each visit. We've done lots of colouring (lots! 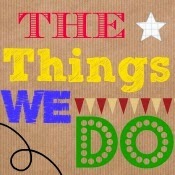 ), we've done jigsaws, played hairdressers, we've done our nails and eyeshadow (even Mr had some eyeshadow put on). Not sure I'd have got make up for a 5 year old but I understand why she's got it. We've done more colouring and had lunch together and more colouring. We've taken lots of photos, that includes Little One who is loving the camera and taking photos of us. The foster carer has been great, the idea being she is around in the house but not joining in with us. After first lovely new daughter would regularly go to show or tell foster carer about what we'd done which was to be expected. She knows foster carer is safe ground but over the days this returning to her has lessened. She has looked forward to us coming and wants to play straight away. One of the day this week Mr was definitely the favourite and got lots of attention - I'm very happy with this actually because a) she isn't used to having a daddy and b) with daddy working she won't see him as much so needs to bond before he goes back to work. Daddy makes a good daddy I think. We've also been for a walk, once with foster carer and once without. Without was absolutely fine and we all had a great time. Foster carer has been great and we've got on so well which I'm really happy about. How Little One is now and her behaviour, emotions etc is all credit to the FC. Introductions are continuing, more to come. Nothing like leaving things til the last minute. For any prospective adopters reading this, I recommend getting everything in order at least a month before your introductions. Bathroom. Yes, still working on it. Just had a 24 hour paint-fest (am I the only person who manages to get as much paint on them as on the walls?). The fitter overran by a week! Looks lovely though - well, it will when all is finished. We had to do a DVD and book introducing ourselves to our new daughter. Well, much hilarity. How on earth do TV people stop themselves from giggling. I couldn't even get as far as hello without falling about, tears streaming. Honestly, you'd think we were producing an epic film rather than a 2 minute DVD. We managed it in the end though although no awards will be given for lighting direction. I decided at the very last minute I didn't like the plain book I'd bought in which to stick our photos, so I headed out to Boots and Tescos and then the local craft shop where luckily, with 5 mins to closing, they had the perfect scrap book. I quite enjoyed doing it actually, sticking, putting captions by our photos, and it's given me some ideas on what we can do with Little One. I've shown the photo of our daughter to-be to a few people now, including our neighbour this morning. "Oh my word!" they say, open-mouthed. "Doesn't she look like you!!? ", they say in amazement. Yep, she does. This is what grabbed our very first attention before finding out about her. It's uncanny really. We've also told a few people her name, which for obvious reasons I won't mention on this blog. At first it felt 'odd' using her name and referring to the spare bedroom as "[name]'s bedroom" but it's become much easier this week since Matching Panel. Technically, I'm now on Adoption Leave. I had my last client last week. I say Adoption Leave - nothing formal though, just me deciding when to stop seeing clients. It's not like I'm getting any maternity pay or adoption pay or adoption allowance. Oh no, self-employed adopters get zilcho, nothing, zero. My local benefits office didn't know anything about adoption pay and my local MP's response was taken straight off the direct.gov website. I just hope this is one of the issues the Government looks at when looking at the whole issue of adoption. I suspect it won't be but I'm quite sure it will put other people off from adopting if they won't be in a good financial position to do so. Luckily we've got some savings that will tide us over til I go back to work. But we shouldn't have to dig into savings. Why am I any different from someone who is employed and who adopts or gives birth, or someone self-employed who gives birth? Frustrating. Right, hopefully the undercoat is dry by now so it's back to the painting. Four days til we meet her. We really cannot wait to meet you next week. It's so real now, we have some photos of you around the house and now call the front spare bedroom your bedroom. I hope you like shopping though. Grandma and I love shopping and can't wait to help you choose some lovely new bedding and some winter clothes. It was Matching Panel today. This is where a panel of people decide whether the little one with whom we have been linked will be officially matched to us. And she is! We weren't nervous at all; we felt it was just a formality as all plans have already pretty much been put in place. The panel is made up of a Chairman, medical adviser, administrator and four others including and adopter and an adoptee. I can see why some people would be very nervous though, particularly in the grand surroundings of County Hall, sitting in front of a panel of strangers who know everything there is to know about you. We had practiced some of the answers to questions we felt might come up and gave what we felt were good answers to the others. Two of the questions I could sense were particularly aimed at me due to my interest in all things holistic and organic but they were fine. I think we were in there no more than 10 mins. Our social worker, the family finding social worker, little one's social worker and another senior practitioner from the adoption team went in first for about 20 minutes to put forward our case and after we came out they spent another few minutes deliberating before the Chair came out and offered us his congratulations. The decision was unanimous. But no chance to celebrate just yet as, guess what, more bathroom stuff to organise so off we went to the local DIY stores to choose vinyl and paint. Lovely. Fitter is still here, tiler is here today. Based on this and when we had our kitchen done, I'd say 60 Minute Makeover on TV is telling porkies. Then we had another school to look round. We were pleasantly surprised by this school but it's still not our first choice and although the Head was very frank with us about where the school is now and where she wants it to be, we still want to go ahead with the first choice. And considering it's a church school, I was surprised to hear that not many parents actually attend church. Plus this school today is twice as far as the first choice school. The social workers are putting the case forward for our first choice school and hopefully we'll hear something by the end of the week. I'm going to go through the introductions plan this evening and plan what we can do when our daughter comes to our house during the second week of intros. I've bought some pens and pencils already, might investigate Play Doh and think of some very easy things we can cook. Introductions starts in 11 days. WE'RE GOING TO BE MUMMY AND DADDY!! I'm feeling a tad overwhelmed today and burst into tears whilst sat in car in car park. The bathroom is still being refurbed and because we've had so much on our minds, we've left it a tad late to sort out bathroom accessories. I mean, on the grand scheme of things, how important is an illuminated mirror, but it just set me off. I'd tried everywhere today to find the one we want but in the end we'll just have to order it and fix it ourselves rather than having the fitters do it. So much more to do in so little time. The house is not the tidiest and we've still to do our introduction book and DVD that will be given to our daughter-to-be in a week's time but can't do that til bathroom is done! It was the last day today at a place where I do some of my work. One of my clients brought me flowers and that nearly set me off. I won't be returning there because birth mum lives in the town and it's looking likely we'll be meeting her in due course which, if I'm honest, I'm really not looking forward to. Then there was my Facebook timeline today, full of babies. I think every other post from one of my Facebook friends was a picture or comment about their babies and whilst I'm delighted for them and the fact that baby has now been potty trained, today, just today, it got to me. For the most part, I am at peace with the fact I won't be a birth mother, but I have the odd moment when things like today just come at me like a powerful right hook. It's the combination of everything going on at the moment. I'm ok now, I've done some EFT on myself and had some lemon drizzle cake and tea at M&S whilst reading a parenting magazine, a rather good one actually called The Green Parent and I think I may subscribe. Oh and then there's the school issue. The two schools we have as our first and second choice are saying there is no room and, despite our little one being 'looked after' status, it seems there is no budging at the moment and they legally can't have more than 30 kids in the classroom. So we have an appointment to look at another school on Monday which is a church school. It's not one that was even on our radar but actually I'm intrigued. I wouldn't say I'm religious, more spiritual, but I have been thinking about going to church for a while now. 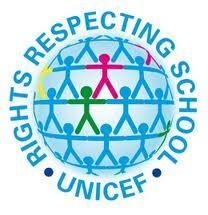 I love their motto which is right up my alley and the values they teach the children. Daddy-to-be however isn't religious and not interested in the slightest about going to church so I wonder what the Head will think of that, and the fact we aren't married (yet). I'll update on Monday. The paperwork from my last post is still there too, plus more has mysteriously appeared on the dining room table. What else - well the fact that my laptop on which I was typing this post just closed down nearly saw a flood of tears in the lounge, but I have gone upstairs to the PC and thankfully lovely blogger.com had saved what I had written. Phew! Honestly, I would be all evening listing the things that are overwhelming me at the moment but I don't want to bore anyone else who might be reading this blog, so I'll leave it there for now. I can't even wallow in a bath because we haven't got one! Matching Panel on Monday - the meeting time has changed three times now. I'm drowning a little in paperwork at the moment. We received our Adoption Placement Plan, nearly 30 pages, and Adoption Support Plan last week. We now have two box files full of paperwork plus a full Foolscap folder, plus various books from our reading list. Both plans were very detailed and we were quite happy with the content, just a few minor points that we weren't sure about. Plus another medical issue has come up, well it's more that a name has been given to some characteristics (I won't go into details now) and I've now bookmarked a load of websites about this. I've been reading one of the suggested books all week, although I'm still left with a 'yes, and ....?" after reading it. It also looks like we will be adding to the pile of paperwork judging by the list of things that legally have to be handed over, signed, made aware to us on the day of placement. I had one of my "oh heck what are we doing moments"...luckily it was only a moment. When I get those moments, I think to myself how would I feel if social services phoned tomorrow and said it was cancelled. I know I'd be extremely upset. Also drowning under paperwork is my desk. Bizarrely when I worked in an office in another life, I had the tidiest desk and drawers. Not so good at home. Daddy-to-be is not impressed. And this needs to be sorted out this week, along with some bookkeeping - there's a pile of receipts on the dining table that are shouting my name every time I walk past them. Oh and I'm up to my elbows in course work, something that I wanted to get done before the adoption happened. I've just learnt EFT, Emotional Freedom Technique - the tapping therapy - and have to say it's been wonderfully helpful recently. Since the course, I haven't had a major anxiety attack and it's been helping my jaw pain after the dentist last week! Maybe I can tap on my feeling of drowning under paperwork. We haven't got any adoption-related meetings this week but I'm quite sure the emails will be flowing back and forth. We've got school to sort out. We've chosen our favourite local school so I assume there will be some paperwork related to that, just waiting to hear back from DDs social worker. In other news, Great British Bake Off, which I love, inspired me to make Rough Puff Pastry yesterday, the first time in 30 years and the ensuing Russian Fish Pie was rather good even though I say so myself. I am really looking forward to baking with my daughter. A week tomorrow to Matching Panel. I had dinner at my Mum's last night and my two nieces were there, aged 21 and 29 (or have I just aged your M?). I love seeing my nieces at mum's and we always have a good laugh. I think M is one of the funniest people I know and they are both so excited about the forthcoming arrival. M was asking all sorts of questions, the same we in turn have asked the social workers. I shared the background, which I am only sharing with immediate family, as I think it's important they know and as my family tree on my brother's side has, how shall I put it, many branches and twigs, I've asked the girls to help me create a visual family tree and a book introducing the most important members that our girl will get to know. I can't wait to see it. It will probably be Christmas (oh it's September and I'm already thinking about the C word) before most of rest of family get to meet our daughter but I think we'll have to do a rota so it's not too overwhelming for her (and us!). Christmas Day will be just the three of us then hopefully Boxing Day and the days after we can have rest of family around. Daddy-to-be's family will be introduced in January as his sister is off to New Zealand for a month over Christmas (lucky thing, would love to go one day). We had our Adoption Support Plan emailed to us today which I've skimmed through and will read in detail when Daddy-to-be gets home, but on the face of it it looks good with plenty of support being put in place. Rest assured I will be calling on every single piece of support should we need it. I don't doubt actually that our Local Authority will ensure this happens, although I have read on the forum that some adopters get no support at all which is so unhelpful to the adopters and the adoptee. So far, I have to say that our LA has been great. In other news, my anxiety levels have reduced considerably and I think the Emotional Freedom Technique Level 2 course I did 10 days ago has certainly helped. Or is it that this agony in my mouth has taken over any other emotions? - I had a filling replaced and redone today and am not a happy bunny. 12 days to Matching Panel. On top of the meeting with foster carers on Monday, we also had a meeting this week at a local hospital with the Paediatrician to go through medical records. I hate hospitals (although I do love 24 Hours in A&E - have you watched that?). Hospitals feel cold and uninviting. Maybe I'm picking up on negative energies all around. But the Paediatrician put us at ease and went through various points. I really liked her pragmatic approach and came away from the meeting feeling much happier about a few points. This morning Daddy-to-be and I went to look round a local primary school. In all honesty I haven't a clue what to look for in a primary school since it's rather different 30+ years on since I was at one but other parents have said 'just get a gut instinct'. We got a good one today and it's top of our list so far. The one I visited last week just didn't feel right and in fact a neighbour has just given her opinion of it, so it's definitely at the bottom of our list. The two other schools in between have yet to be visited but we're hearing good reports from people. We've told our closest friends and am gradually telling a few other friends as the time is right. I've put a few cryptic statuses on Facebook, with lots of Likes from those that know and ??? ?s from those that don't. We just told our next door neighbours and they were really happy although our immediate neighbour is already canvassing for her to be a fan of his football club rather than the other big one local to these parts! What else have we been done? We're having a new bathroom put in from next Monday so got things like tiles, mirrors and lights to choose. I can't make decisions about decor at the best of times let alone when my head is full of adoption stuff so we're getting the advice of my Mum as she's great at things like that. We went to Topps Tiles this morning but both came out with blank faces. Next door was Halfords so we went in to look at car seats - why do they have to make so many types to choose from? The assistant in Halfords had difficulty showing us how to fix one particular brand to the car seat, not the best advert really. We didn't have trouble making a decision about tonight though - we're going to our favourite Vietnamese restaurant as it will be the last time for a very long time. We've now met with the Foster Carers, the couple that have been caring for our Little One over the past year. Blimey, was I nervous walking up to their front door. I made Mr go first. But all was ok and they are a lovely couple. I'd read some negative comments about FCs on a forum, how they can be resentful of adopters taking their charge away, how some adopters feel they haven't done a good job etc. But no, this couple were great - really honest with us about the pros and cons, obviously care a lot about her but at the same time very happy she has been found a new mummy and daddy. The male FC had a similar sense of humour to Mr Sezz, which was good and created a bond. Not sure the social workers get their sense of humour which amuses me. The main FC gave us so much information and was mildly amused to see my extremely long list of questions but actually most of the questions were covered in general conversation. One thing that comes up for me and Mr Sezz is that each time we start long conversations about our daughter-to-be, be it with her social worker, our social worker, foster carer, we both feel a dip in emotions, something scares us and we think "uh ooh", but by the end of the conversation our resolve is even stronger to adopt her. Not sure why that is, just nerves maybe? and the realisation that the big day is getting nearer and she is becoming a reality. What the meeting did show me at the end was that even more so now I think we are a fantastic match for her. Let's hope Matching Panel do too. I told one of the neighbours yesterday - well actually she'd found out via her daughter who works at one of the schools I've looked around. She was so happy for me and Mr. Her granddaughter, who is a year younger, lives just down the road so hopefully we have a local playmate for Little One. Yesterday we attended our Transitions Workshop. This teaches us all about how to handle the introduction stage; how we introduce ourselves to our Little One using a DVD and book; how we prepare the house; what happens during the two weeks of introductions and what we need to do in the first few weeks of placement. I could feel my anxiety levels going up and my heart pounding. There's so much to do and to remember. But everything the social workers suggest is of course positive and will help us make the transition as easy and as calm as possible for us and our soon-to-be-daughter. Just as well I didn't go and buy a duvet set though. I've been looking and seen some really cute and pretty ones, but we were told yesterday to make the bedroom as plain a possible so there is less info bombarding her little brain; she'll have enough to take in without trying to process all the colours and patterns on the bedding. In time we can make a big thing of letting her choose what bedding she'll like - after all, we actually don't know yet if she likes fairies, cupcakes or princesses. We do need to buy some fleecy blankets and cushions though, as they are great for snuggling in or hiding in, or wrapping yourself up against the world in. Dunelm Mill is going to do well out of us. Ikea do these really cute little tents for the bedroom - I wonder if she'll like that. I used to like making dens when I was little, shutting myself away for a while, just me and my dolls. I still like tents actually - there's something very cosy and comforting about climbing in, pulling up the zip, saying good bye to the outside world and getting cozy in the sleeping bag. Actually I hated Girl Guide camp, but that was probably a big thing to do with being packed off at 11 with a big group of girls, half of whom I didnt know, half were hormonal, having to clean out the lats and falling out with best friend. Urgh, I shudder at the thought now. But I was reintroduced to camping in my 20s and I love it now. Anyway, I digress. We need to prepare a two minute DVD showing, saying hello to to her and showing her around our house. I'm stressing at that already. Of course, it doesn't have to be Oscar material, but we want to get it right. I predict also lots of giggling doing it as my Mum will have to do the recording whilst we read our scripts and get tongue tied. 4 weeks to go to Matching Panel. "Adoption is like all the stress of pregnancy but without a due date". Oh how true! I heard this saying back when we started the process and it's a perfect description. If I were pregnant right now I'd be around 33 weeks. I'd know the due date of my baby, I'd know when all my hospital appointments/ante-natal classes are, we'd be able to plan for everything. But I'm not pregnant. Yes we've been linked with a little girl and have discussed a potential due date for her coming her permanently, but that was about three weeks ago and I haven't heard anything since. We don't know date for Matching Panel and we haven't yet got a date to meet Little One's social worker. We don't know what clothes she'll come with so we don't know what to buy. We don't know what toys and books she'll come with (although we have been told she had got a lot). In fact, we don't actually know for certain she's coming to us. Something might hold up the process, something might halt the process. Then again we could be parents at the end of October. I feel kind of in limbo. As primary carer I am expected to give up my job for 6-12 months. As I'm self-employed, in one sense that makes things easier but on the other hand I get no adoption pay (very unfair as self employed birth mothers get maternity allowance!). I have two roles and one of them I am starting to wind down, not take on new clients and am advising current clients that I won't be available for a while until into the New Year. My other role, well I can sort of keep that going - I know I will be physically and mentally exhausted but I have a great team that will look after each other whilst I'm not around - I'll explain more another time. I've been reading a lot about adoption and being a Mum in general; NetMums, MumNet, Adoption UK websites. My head is really in a spin. I feel excited, I feel nervous, I feel in limbo, I feel worried, I feel this is so right, I feel .....well, I'm not sure, a whole mix of emotions. I'm downing Royal Jelly like it's going out of fashion and generally trying to be good to myself. In the meantime, Daddy-to-be and me are going to the Paralympic Athletics today. I am soooo excited about this. These Paralympians are truly amazing and awesome. I wonder if our little one will like sport - I hope so as we do like our sport in this family. 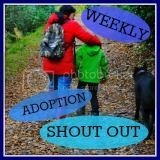 I'm starting this blog as we are soon to be joined by a Little One and we want to a) keep a diary of our life from Day 1 as a family and b) share our rollercoaster ride with our friends, family and, perhaps more importantly, with other adopters and prospective adopters. We have been linked with a little girl and are waiting for Matching Panel in October when we will be officially matched with her. We can then organise introductions and welcome her to our/her home. So how did we get to this point? After a few years of trying and not falling, and with little help from GPs other than a few blood tests that showed nothing out of the ordinary (I think the fact I was over 40 meant they didn't really want to help), we decided to try IVF. Due to my age we had to go private and I can't say it was the best experience of my life. I'll spare you the details but hearing the nurse say 'oh dear' whilst looking at the scan when my legs are akimbo is not really what I wanted to hear. In fact as I didn't respond to the drugs, we only really got half way through the protocol and even that wiped out my savings, so we very quickly decided to look at adoption. We attended an open evening in July 2011 where they talked about what it involved, the process, the type of children involved, and what would be expected from us. I remember being surprised at how full the room was. Afterwards there was no hesitation and we applied to attend an Introduction Day on 1st September. What i remember most about this day was a talk from an adopter about her experience and the love that just poured out from her. I thought, that is me, I can do that. Then we went on holiday. We didn't talk much about it whilst away but we certainly weren't not going to go forward. Back home the harder work started; we had forms to fill and lots of words to write about ourselves. I'm not sure why but we took a while over this, perhaps because it was because more real, we were actually applying to be adopters. Finally in November, with paperwork submitted, we got an invitation to attend a two day Adoptive Parent Training in January 2012. Since January, after much more paperwork, 10,000 word essays and many meetings with our social worker, we got to the point of being approved as Adopters. Hurrah! The process was long, yes, but not nearly as life churning as we had expected. Our meetings with the social worker were like long (3 hour) chats but we figured as long as we were honest about things and how we felt, it would all be fine, and it was. So we were approved on 31st July 2012. Just over a year after starting the process. Going through the process of adoption. Keeping sane with cake, chocolate, Spandau Ballet and EFT.